Costs – Cape May, New Jersey is home to many trees that need regular care. Find out what homeowners pay on average to keep them in great shape. FAQs – What trees are you considering planting in Cape May for the year? See which ones thrive in the climate and what you might need to consider not planting because of some pesky bugs or the climate conditions. Services – Find a professional in the Cape May area who can handle your trees just the way you want. How Much Do Tree Services Cost in Cape May? Cape May in New Jersey is a popular and scenic beach destination in the summer. Full-time residents, however, know that keeping the area beautiful involves a lot of tree and shrub care. If you are curious about tree maintenance, use this as a guide to learn more about the costs of trimming, pruning and getting trees or stumps removed. Removing an entire tree tends to be a lot more expensive than removing a single stump. If the tree is especially tall, leaning on electrical wires or located close to another home, it will require greater care and a bigger expense. Overall, however, the cost of tree removal in Cape May runs between $380 and $476. Expect to pay slightly more if you would like the tree to be hauled away from your property or cut up into firewood for your personal use. Having a tree stump anywhere on your property is generally an unattractive addition, but removing it on your own is labor-intensive and potentially even dangerous. The best course of action may be to hire a professional to come in with a commercial stump grinder and remove it in minutes. Cape May homeowners should expect to pay up to $153 for this service. 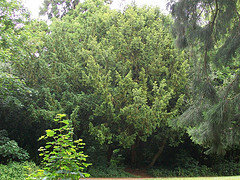 Keeping trees and shrubs looking great on your property involves annual pruning, branch trimming or cutting. While this is certainly something you could tackle on your own if you have a green thumb, bringing in tree care professionals might guarantee a better result and a healthier tree. The average costs of tree care services in Cape May is $601, but it varies depending on the scale of the project. While Cape May, New Jersey is often thought of as a beach resort, it offers plenty of lush greenery on the coast. Whether you are moving to the area or planning to upgrade your landscaping, knowing more about tree care, local regulations and trees native to the area might help you craft a more attractive outdoor space on your property that is easier to maintain as well. Before you can remove any trees on your private property in Cape May, you need to apply for a permit with the Shade Tree Commission Office and pay $25 per tree that you would like to be removed. Applicants should hear back within seven business days about whether their tree can safely be removed without damaging the environment or the aesthetics of the neighborhood. If your request for a permit is denied, your application fee is reimbursed. Generally, the best time of year to remove trees in Cape May is anytime outside of the summer season of May through September. According to Atlantic City Electric, the primary energy provider to the Cape May area, trees are the number one reason for power outages along the coastal region of New Jersey. Atlantic City Electric teams do routine pruning on a two-year cycle, but you can call and request pruning or trimming if you see branches encroaching overhead power lines. When planting trees, they suggest not planting tall trees like spruces or pines within 50 feet of overhead power lines. 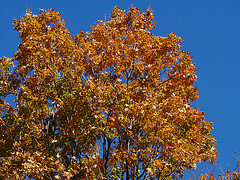 Known scientifically as Quercus rubra, New Jersey’s state tree also goes by the names of northern red oak. These trees can be found throughout the state, and many are just off the coast near the forested areas of Cape May. The New Jersey Division of Parks and Forestry maintains a list of champion trees which represent large and notable trees in the state. Cape May is home to several trees featured on the list, including a gray birch with a 92-inch circumference, a osage-orange 179 inches in circumference and a 104-inch around loblolly pine. For the shortest trees in the area, check out the bonsai garden included in the Cape May Courthouse. Nicknamed the Garden State, New Jersey also offers plenty of opportunities to grow fruit. Despite the warmer temperatures along the coast in Cape May, winters are still too harsh for most kinds of citrus. However, many residents are able to successfully grow pears, apples, figs and even dwarf peaches, which take up less space on the property and still yield lots of fresh fruit. As long as you are willing to put in the effort, most trees can be maintained in the area. Tropical palms and citrus, however, won’t do well with the occasionally below-freezing temperatures in the winter. 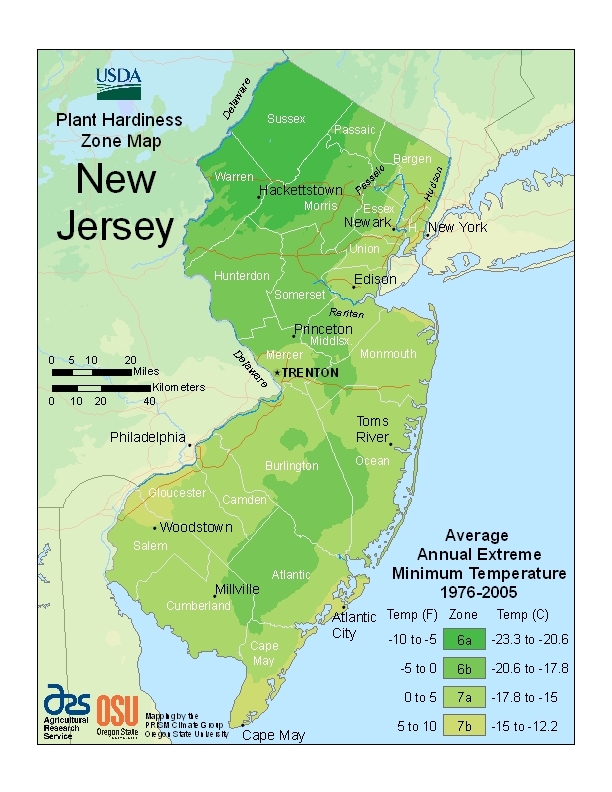 Before planting a new tree, check to see if it grows well in the USDA hardiness zone 7b/8a, which is the recognized rating of Cape May. Trees requiring drastically different number zones tend to be difficult to grow in the region. Unfortunately, there are a number of pests and diseases that can harm trees growing in the Cape May area. The turpentine beetle and the bluestain fungus, for example, are two concerns among the coastal trees that act as a windbreak for homes near the Atlantic Ocean. Other tree concerns include the gypsy moth, gouty oak gall, emerald ash borer and bacterial leaf scorch.